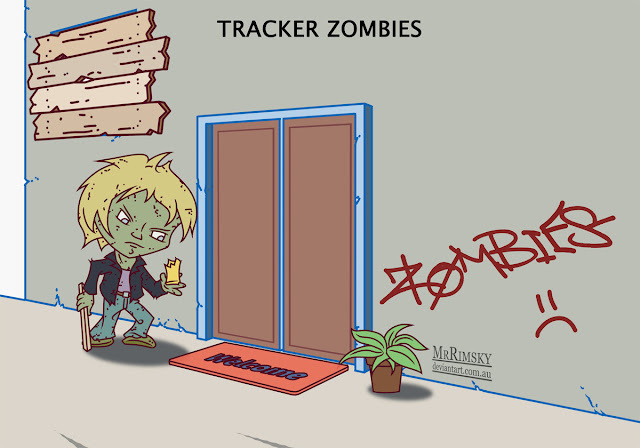 Finally there are tracker zombies who will systematic search for and hunt down humans. They will look for signs of humans, like discarded coffee cups or noisy karaoke parties. Once they locate a nest of humans they will attack, possibly working in a pack. Otherwise they may adopt the Waiter or Baiter approach, knowing eventually a tasty human or two will emerge.